Where do I download the latest update? How do I update my Strike firmware to v1.4? Do I need to use the Strike Editor software to update the content? What changes will I see in the v1.4 update? 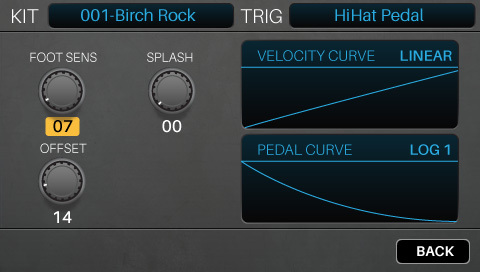 How do I use the new Hi-Hat parameters? Do I still need to reset my Hi-Hat calibration? What is the benefit of direct recording to an SD card? What type of SD card is required for optimal recording and streaming performance? What should I do if the update fails on a Mac? 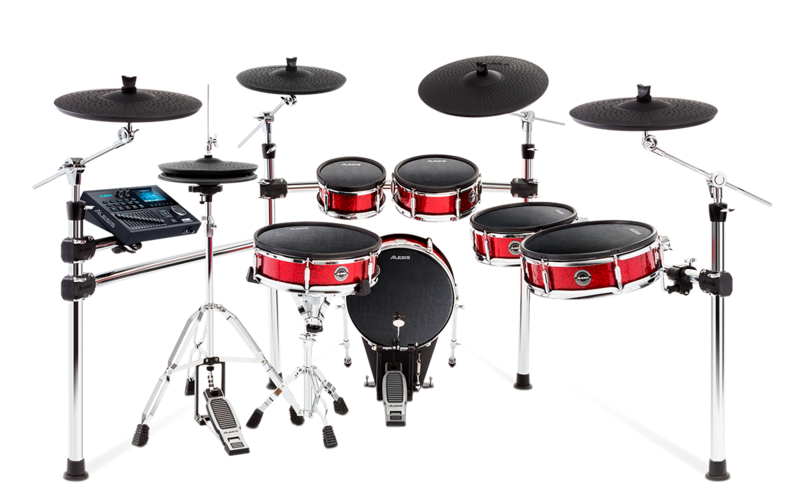 The latest Strike firmware can be found right on the Alesis Strike or Strike Pro product page. Click on the Downloads tab and you'll find downloads for Mac and Windows installers under the Docs and Downloads section. The new content will now be updated straight from the Strike Firmware Updater. There is no need to download or use the editor to update the firmware or content. Along with some minor bug fixes, the v1.4 update some new features, improved performance, and a new batch of content. Improved Kit Loading Times: Drum kits now load super fast! Direct Recording to SD Card: The sample recording feature now streams audio directly to and from your SD card. This means that the time limit for Sample Mode is now based on how much space is available on your SD card. For any very long audio recordings, Strike will draw the waveform in real-time. New Sounds: Free for your playing pleasure are 15 brand new kits comprised of 28 new instruments and over 500 MB of new samples. Enjoy! Updated User Interface: Beautiful new graphics have been added for the Kit Menu, and all menus now have easier to see buttons and highlight colors. 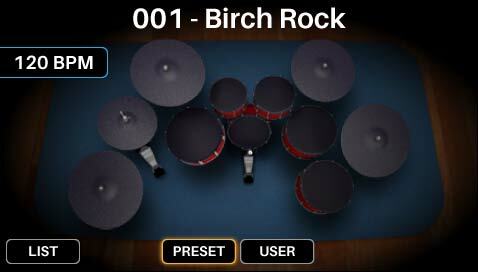 Improved Hi-Hat Performance: Further refinements have been made to hi-hat playability. The calibration Reset function is no longer required; Strike is always aware of your hi-hat stand’s behavior. We’ve also simplified the hi-hat pedal setup menu, making it easier to fine tune with a wide variety of hardware and playing styles. How do I use the new Hi-Hat Pedal parameters? You'll notice that the changes to Hi-Hat performance include a simpler set of Hi-Hat pedal parameters to help you more easily dial in an optimal response. Offset - The Offset parameter will help the Strike compensate for where the hi-hat pedal actually closes, as in where the two cymbals actually touch or where you would consider them to be closed. For instance, if this is set too low the hi-hat cymbal will not play closed or "chick" sounds. This new parameter is crucial to the overall performance, but once this is set right, everything else is purely up to personal preference. Foot Sens - This will make the "Chick" sound more or less dynamic. The higher this is set, the louder but less dynamic the "chick" sound will play. For more nuanced style playing, experimenting with a slightly lower setting here will result in a more larger dynamic range. The Velocity Curve will also affect the dynamic response of the chick and goes hand-in-hand with the Foot Sens. Splash - Creating a splash sound with the hi-hat will require quickly pressing down and releasing the hi-hat pedal, basically striking the hi-hats together quickly and releasing so the top cymbal rings out. 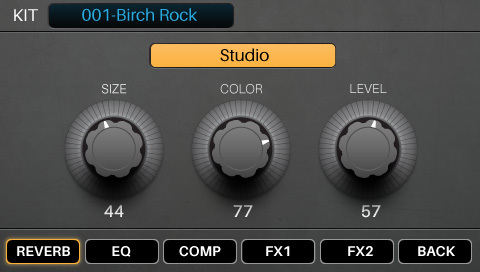 Use the Splash parameter to control how easy it is to trigger a splash sound. Higher settings will make it easier to trigger a splash, so setting this too high will result in more accidental splash triggers. Velocity Curve - Refines the dynamics of the chick sound. In general, the velocity curve will decide how the Strike module takes the incoming velocity (i.e, the speed and pressure of each strike) and translates that into sample layers and volume level of the sound that you hear. Each curve type will scale the velocity to output ratio in a specific manner. Linear, for example, will scale velocity evenly from softest to loudest response, Log will scale up to louder hits quickly, and Exp will favor softer hits more. Once you have the triggers responding to each hit, this is a great way to adapt the dynamics of the response to your playing style. Pedal Curve - Helps tune how easy it is to get closed versus open hi-hat cymbal sounds. If you prefer to hear more closed or semi-open sounds, choose one of the logarithmic curves (Log 1-4). If you prefer a more open sound, choose an exponential curve (Exp. 1-4). Select Linear for an even balance between these. The Strike is now constantly aware of your hi-hat stand's performance and making adjustments in real-time, so manually resetting and performing through a Hi-hat calibration is no longer necessary. The option has been removed. This should make it easier for you to focus on your playing and only touch the settings for preferential tweaks. Recording directly onto and streaming directly off of the SD card means that the only limits to the recording size and time are the limits of your SD card. If you'd like to add your own SD card for recording and storing samples, the module will support SD cards up to 64GB. We recommend 40mb/s, Class 10 SDHC cards for the best results. An error message from the updater application reporting that it cannot locate your Strike module. The updater times out, stops, or fails during the firmware update process. This is likely due to a unique way OS X handles tracking old MIDI devices. This will not harm the Strike module in any way and there is an easy fix! Close your Strike Updater app. Open Audio MIDI Setup. This is located in the Applications > Utilities folder. From the menu bar, select Window > Show MIDI Window. From the drop-down at the top left of the MIDI window, select New Configuration. This will cause OS X to rescan for any current MIDI devices, but also remove any old ones that are no longer connected. Sometimes old “remembered” devices can interrupt MIDI communications on Macs. 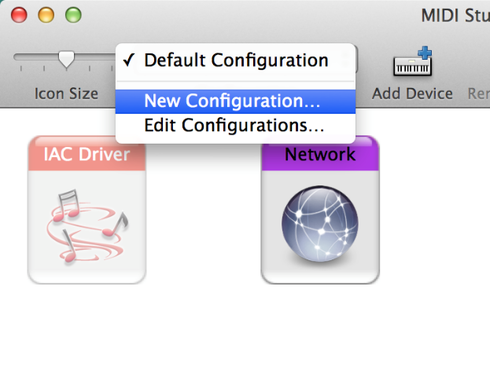 Now, double-click on the IAC Driver icon. This will bring up a new window. At the bottom left you’ll see a Ports section. 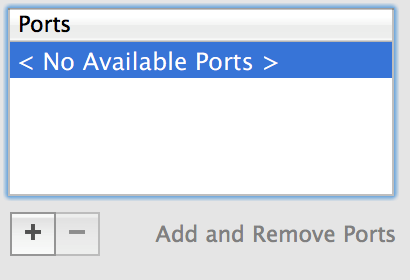 Select any ports listed in there and click the minus button below to remove them all. You should be left with No Available Ports. Now be sure to close the Strike Updater app, and check that your Strike module is still connected and in update mode. Re-open the Updater app and try again.